We have been offering fine homemade Italian food at reasonable prices to the beautiful city of San Marcos, CA since 1988. 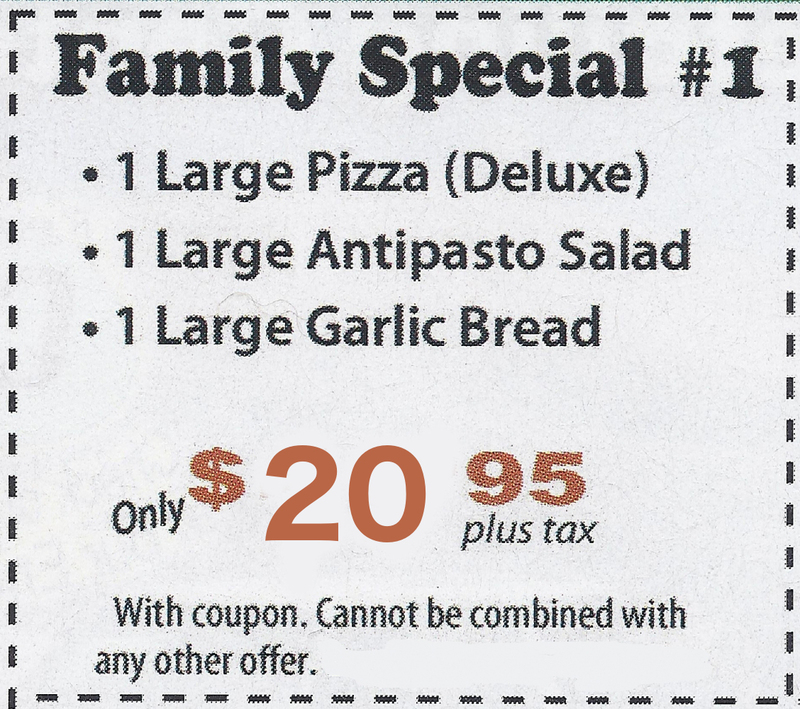 Our gourmet pizza is made using our special family recipe. We make our pizza dough daily from scratch and bake it fresh in our stone oven. The meat sauce used in our pastas has been developed over two decades to provide the best. 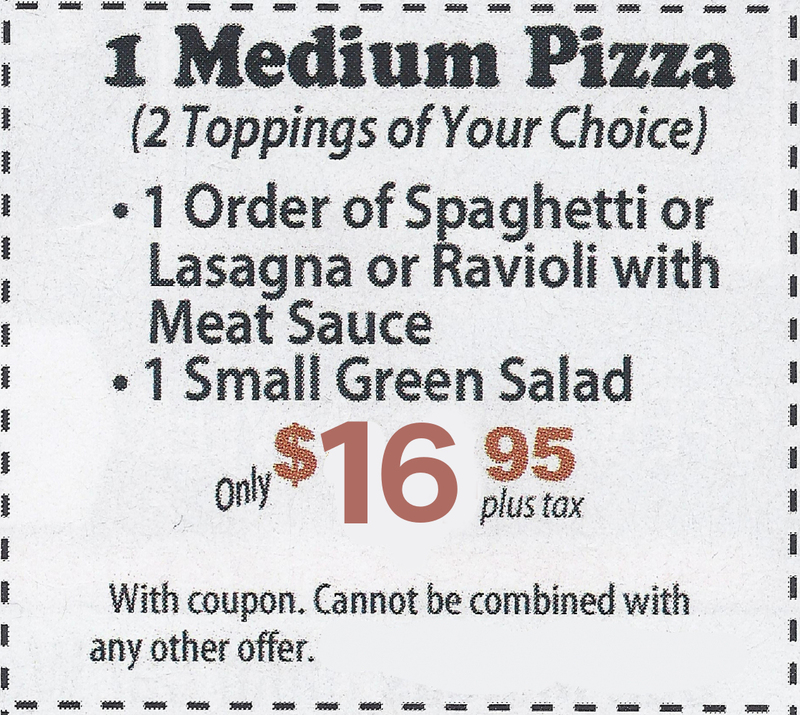 Simply show or mention the promotion to redeem. 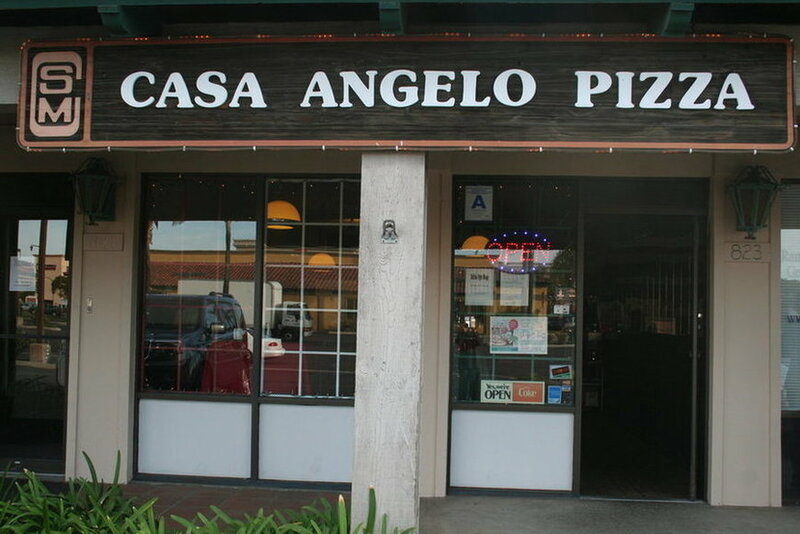 The Finest Pizza & Italian Cuisine in San Marcos. Pepperoni, Sausage, Ground Beef, Salami, Canadian Bacon, Crumbled Bacon, Ham, Anchovies, Mushrooms, Black Olives, Red Onions, Brown Onions, Green Peppers, Pineapple, Fresh Garlic, Jalepenos, Sundried & Fresh Tomatoes. All pastas come with salad & garlic bread. Served with homemade meat sauce, marinara available upon request. 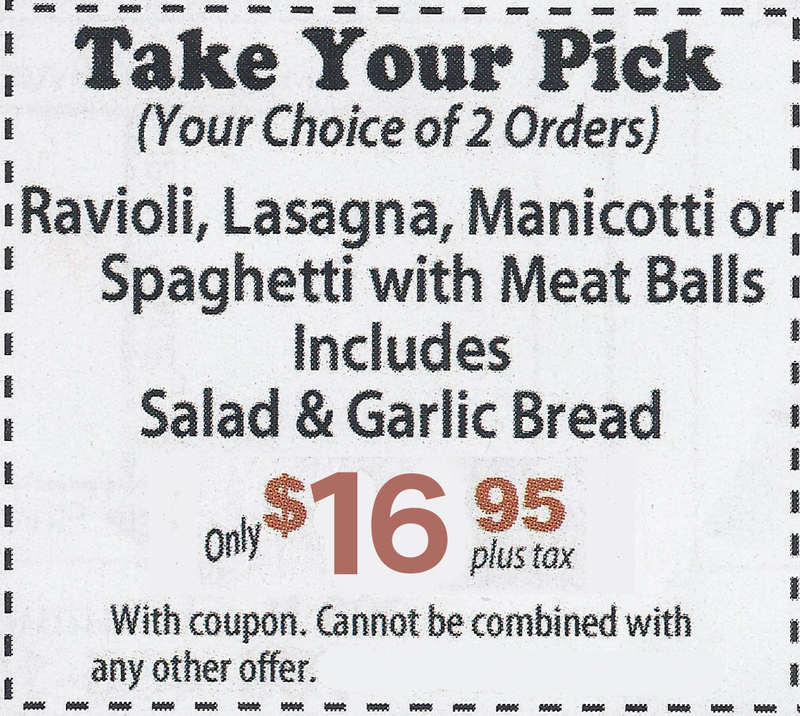 Select subs include: Super, Ham, Salami, Mortadella, Pastrami, Sausage, and Vegetarian. This is a cute hole in the wall family owned restaurant. The food was amazingly delicious and for a good price too! The sauce on my pizza was so flavorful and it was cooked to perfection. I rather spend my money here and help out a local business. I'm so glad I found this place. I can't wait to come back and try their pastas! This place is a mom and pap. They have outstanding spinach tortellini. Their food is outstanding! This establishment is cute and homey. 100% family owned and operated. The owners even make the deliveries themselves! My husband and I had a quiet, delicious meal. 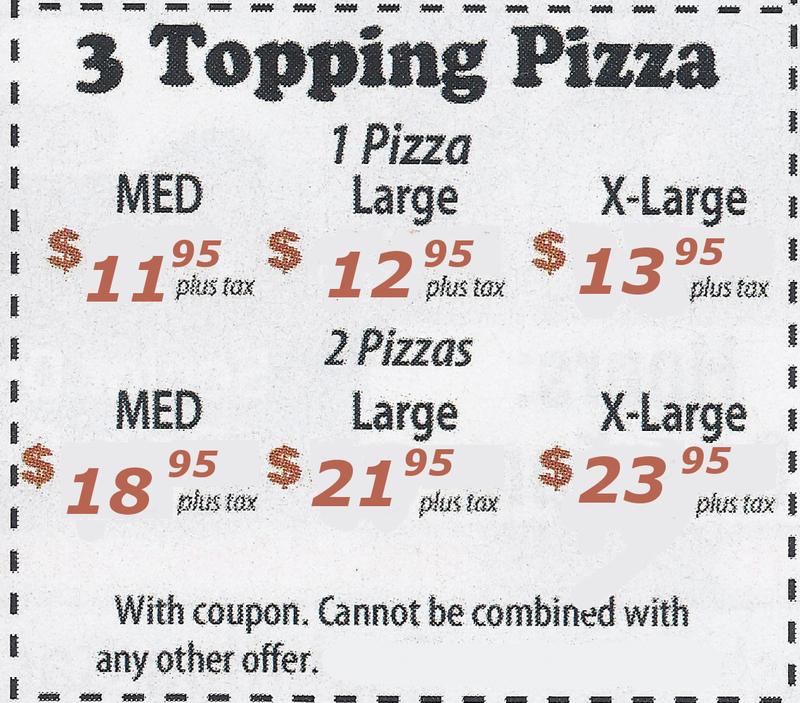 Pizza was so much better than the chain places. The quality of the food was great. We will definitely be returning! My mom brought us here (my boyfriend and I) and we LOVED IT. Food was amazing, salad was amazing. Cute little Mom and Pop shop. The owners are extremely sweet. They keep it so nice and clean. Beautiful restaurant. All of the years I have lived here and never saw this place. What a hidden treasure! 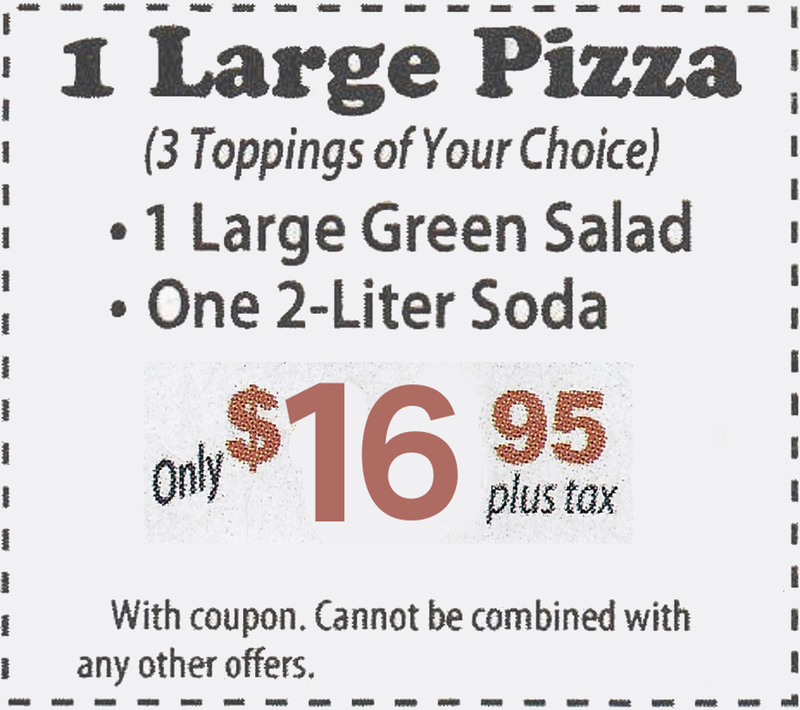 My girls and I were going to go to Dominoes for a cheap pizza pickup so I didn't have to cook after a long day at work and sports, then we saw this place with their great deals! So we gave it a shot! 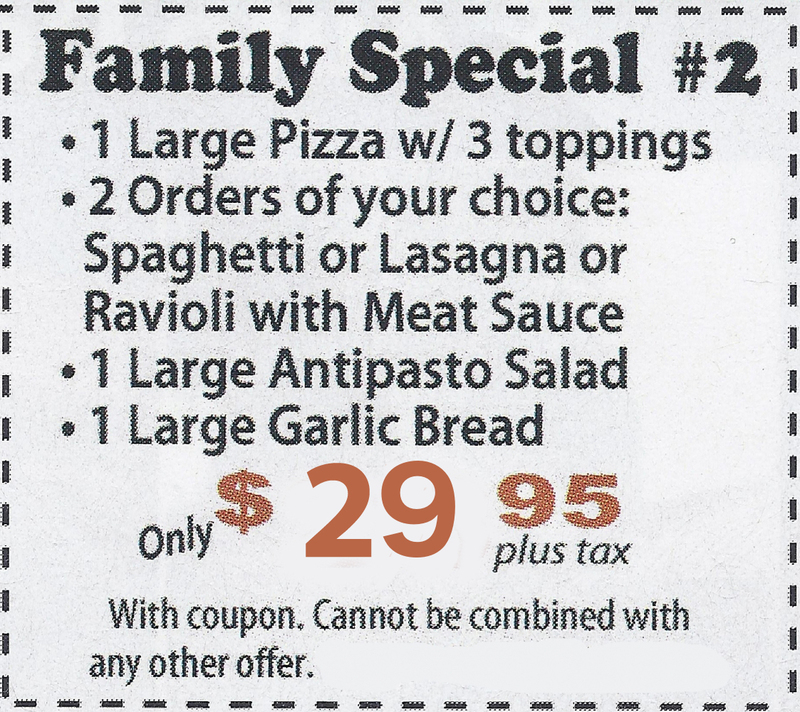 We got the lasagna special and a slice of pizza for all 3 of us for under 10.00 on that particular day! HANDS DOWN BEST LASAGNA WE HAVE EVER HAD! So Thursday's are lasagna days for us from now on! Everything is excellent! The Moosolini may be the best sandwich I've ever eaten in my life. I will definitely be back! 823 W. San Marcos Blvd. Open Monday through Saturday from 11 AM to 9 PM. Delivery available in San Marcos, CA.